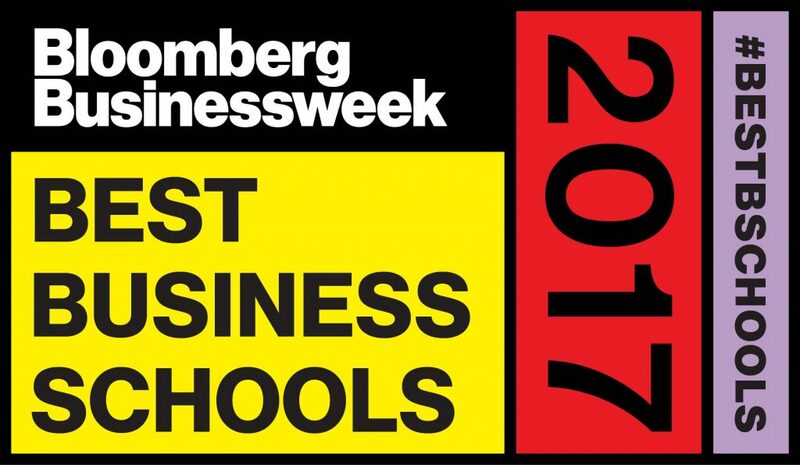 NEW YORK (Monday, December 11, 2017)—Bloomberg Businessweek today released its 2017 ranking of the best international business schools, naming INSEAD Business School number one. London Business School number two, and Spain-based IESE Business School number three. United Kingdom-based Oxford (Saïd) and IMD round out the top five. Each school’s ranking is based on surveys of recruiters, alumni, and students, as well as recent graduates’ success at landing jobs and securing high starting wages. France-based INSEAD, formerly known as the Institut European d’Administration des Affaires, or European Institute of Business Administration, snagged the number-one spot thanks to its top ranking in surveys of employers and alumni, and a boost in its recent students’ ability to obtain jobs shortly after graduation. Cambridge dropped out of the top 5, from No. 4 to No. 6. Interactive tables allow readers to dig into data points for each school, ranging from pay growth (pre-MBA, first job, and after 6 to 8 years), job placement three months post-MBA, job locations for new graduates, and industries for new graduates. Another interactive chart shows exactly where each school ranked on each part of the ranking.